Joe Miller claimed the World Long Drive title Wednesday night. 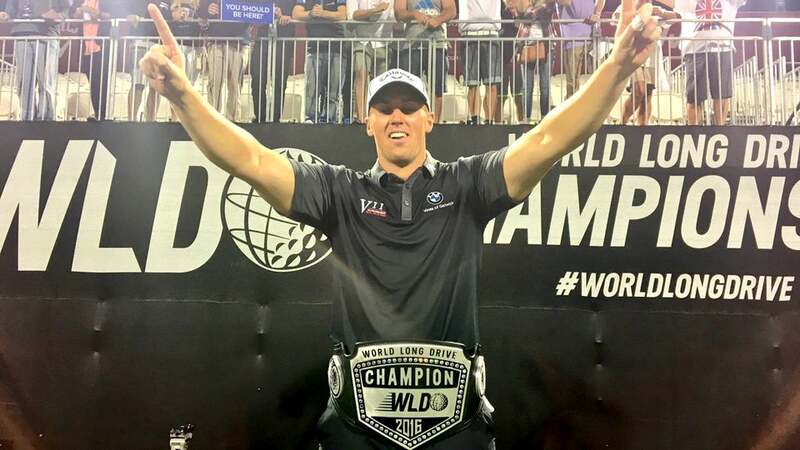 Joe Miller defeated Ryan Steenberg in the final of the World Long Drive Championships on Wednesday night in Thackerville, Okla., to win the title for the second time in his career. The 31-year-old Miller hit his winning drive 423 yards to bring home the newly remodeled championship belt and a check for $125,000. He won his first World Long Drive title in 2010. Check out Miller's winning drive, and another he hit earlier in the competition that was off the grid, below. His longest drive in the quarterfinals was 437 yards and his longest semifinals drive was 439 yards.